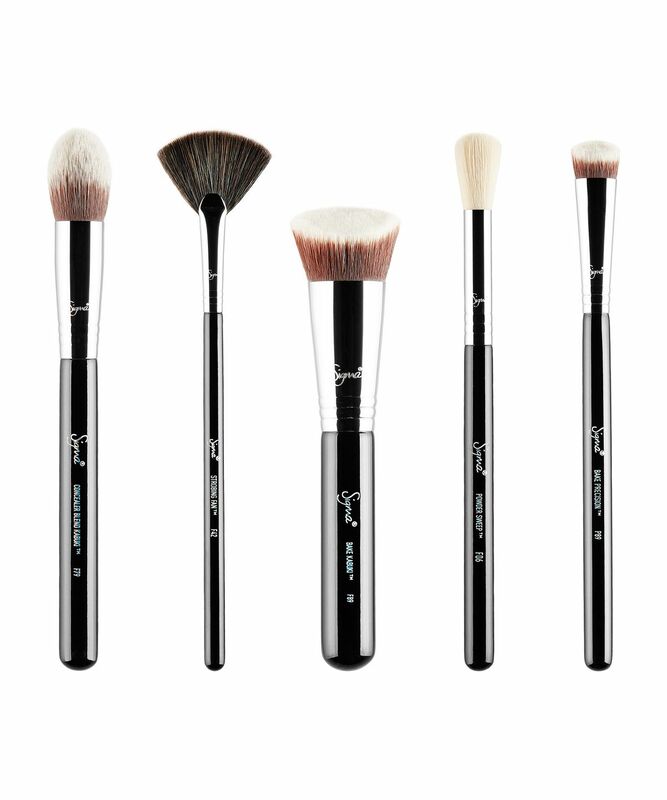 With five professional-grade brushes to ‘fix’ your face and effortlessly disperse cream, liquid or powder highlight, Sigma Beauty’s Baking and Strobing Brush Set is essential for skilled make up mavens; diffusing setting powder to perfection while facilitating access to those typically hard-to-access facial contours. 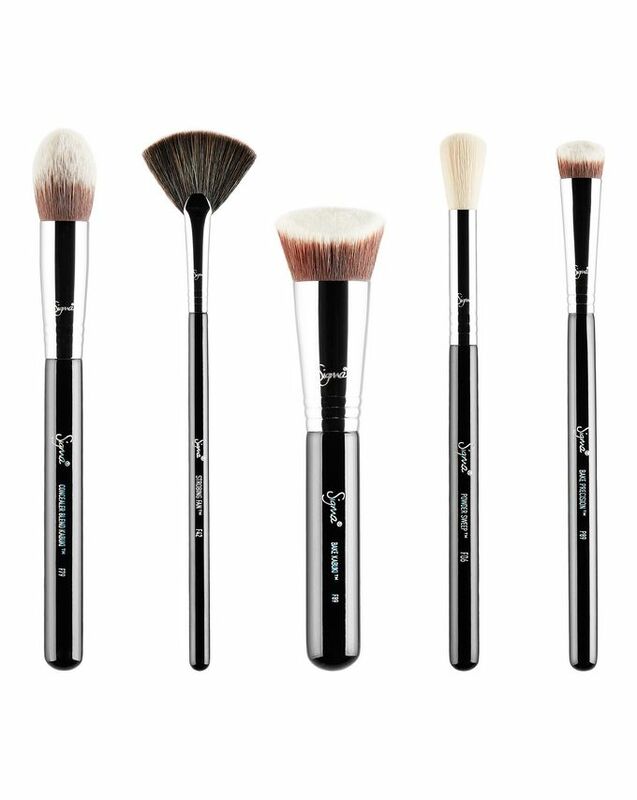 An incredible, hard-working edit of multi-purpose make up brushes, Sigma’s Baking and Strobing Brush Set stars super-soft anti-bacterial fibres to diffuse setting powder and create a super-subtle glow or intense, ‘strobed’ effect. Featuring Powder Sweep (F06), Strobing Fan (F43), Concealer Blend Kabuki (F79), Bake Kabuki (F89) and Bake Precision (P89), these allow you to ‘pack’ powder to achieve a flawless, ‘stay put’ base, while the fan and concealer brushes permit seamless dispersion of cream or powder luminiser for a gorgeous backlit lustre. Use to apply and diffuse cream, liquid or powder highlight, as well as to 'bake' your base for a long-wear, crease-resistant finish.